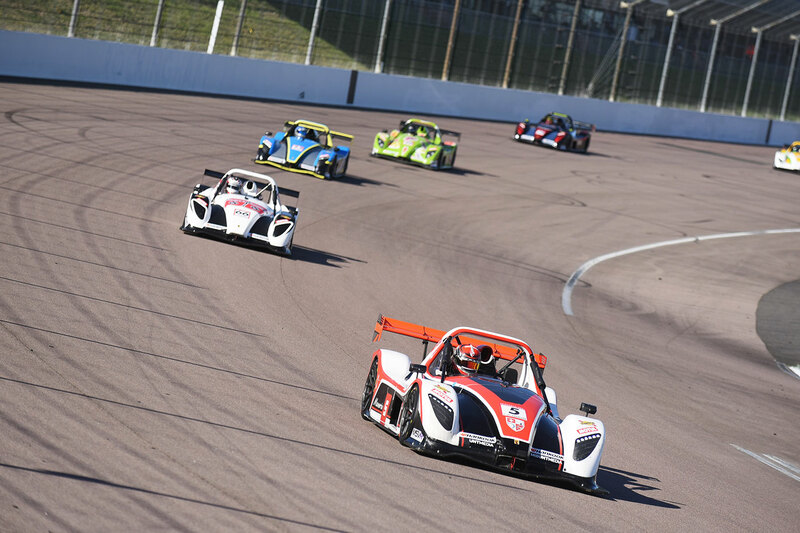 360 Racing dominated the Radical Challenge podium at Rockingham last weekend. 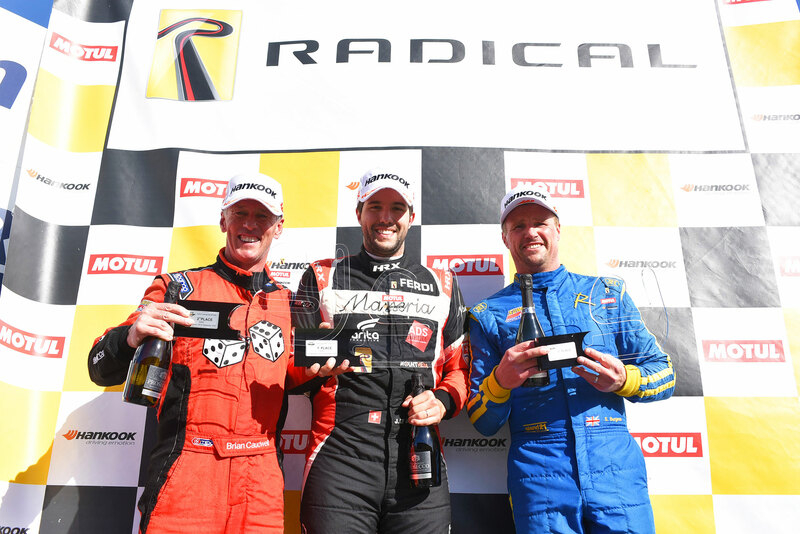 As well as having two wins, Jerome De Sadeleer also secured a third-placed finish behind team mate Mark Richards. De Sadeleer had been the fastest qualifier for the Silverstone based team, in third, with Richards seventh and Jason Rishover ninth. But as the lights went out De Sadeleer settled into third place behind title contenders Burgess and Jackson, while Rishover also started strongly in fifth. Richards had also hoped to challenge, but a poor start left him with a fightback. “I just spun the wheels and lost loads of places,” he explained. The stops soon followed and De Sadeleer went in second and emerged with the lead. Although Rishover had lost one place to Marateotto early on, he continued in sixth until his stop. But shortly afterwards Elliot Goodman spun in front of him, and after T-boning he was hit from behind by Macleod and was out of the race. Richards had also worked his way up to ninth as the stops began, but elected to stay out before finally pitting from third. 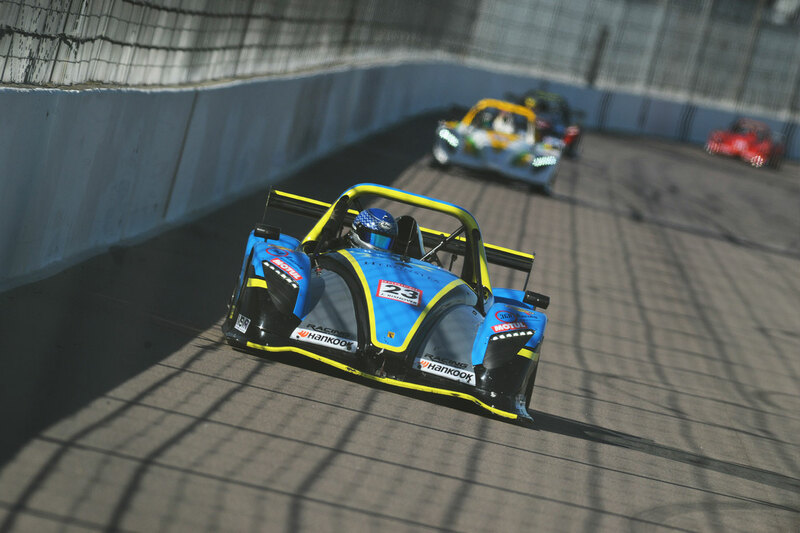 Richards also continued his progress during the second half of the race and finally clinched sixth on the last lap, after Macleod was given a stop and go penalty. It was a chaotic start in the second race, with De Sadeleer once again tucked in third behind Burgess and Jackson, with Richards an early seventh. But luck wasn’t on Rishover’s side and he was hit hard with the rear of his car being pitched into the air after a hit from Kristian Jeffrey at Yentwood. He rejoined but went off Gracelands after four laps, “I tried to take Brookes and was pushing too hard. Maybe I was a bit too aggressive, all I wanted to do was finish the race,” Rishover said. After a couple of exchanges with Macleod, Richards was seventh until he received a knock from Baxter and spun at Tarzan. “I had just caught the red flag accident, and went straight through the middle of the cars and debris,” after various penalties handed to other drivers he moved back into seventh. With both Burgess and Jackson starting well down in the final race, it was a 360 Racing one-two from the start, with De Sadeleer heading Richards, until a huge lock up into Deene on lap seven dropped Richards into third. “I could see Jackson closing and decided I had to brake as late as I could, but left it too late and locked-up massively,” Richards explained. With Jackson making his stop first, Richards moved back into second, but then it was De Sadeleer’s turn to suffer from the success penalty which left him re-joining in third. Richards held on to secure second from the closing De Sadeleer, while Rishover also got his long-awaited race finish in 11th.